If you’re plagued by fibroid tumors, it could be the result of various factors such as toxins, an estrogen dominant state, a weak immune system, and so on and so forth. One of the best ways to boost your immune system, get rid of toxins and free radicals as well as excess estrogen to prevent an estrogen dominant state is with a juice fast. Juicing also helps with many other diseases and conditions in addition to being an important part of a natural treatment for uterine fibroids program. Juicing is great for cleansing the body, boosting immunity, treating various diseases and conditions, etc. While it is not prudent to state that fruits and vegetables will cure your fibroid tumors or other conditions, fruits, vegetables, grasses, etc are vitamin and mineral packed and you can also get various healing compounds from carotenoids and flavonoids that they contain which can help to create a healthy disease free body. While foods can harm (sugary, fatty processed foods) as discussed here, other foods can have the power to heal and the foods that can heal are usually the nutrient rich, plant-based foods which are the first line of defense against fibroids and many other diseases and conditions. These vitamins and nutrients help to boost immunity while helping the body get rid of harmful disease-causing properties such as toxins and free radicals. The best natural treatment for uterine fibroids program seeks to create a balanced hormone environment and vitamins and minerals contained in fruits and vegetables help to create this healthful environment. Getting the recommended five to seven servings a day of fruits and vegetables is impossible for many people which is why juicing is the best approach. With just a single 8 ounce glass of vegetables and fruit juice, you can satisfy the daily recommended servings of fruits and vegetables. 1. Only make eight ounces of juice per day. Consuming large amounts of juice especially if it is fruit juice can create an acidic environment in the body which is not considered healthy. In addition, some fruits such as grapes have high sugar content which can help to create an estrogen dominant state which can make fibroid tumors worse. Read more about sugar and estrogen. 2. Focus more on juicing vegetables and less on fruits for the reasons discussed above. Vegetables are more alkaline and can help eliminate or reduce an acidic environment in the body. Fruits do contain beneficial vitamins and minerals despite the sugar content so do not eliminate fruits entirely. 3. Drink the juice within 30 minutes of making the juice as the juice will lose nutritional value quickly. 4. Drink the juice on an empty stomach or two to three hours after a meal. 5. Swish the juice around your mouth before swallowing it. 6. Use various fruits and vegetables as juicing is one of the best ways to incorporate a wide range of vegetables and fruits at the same time. 7. When juicing vegetables, use the various parts such as the leaves and the stems. 8. Select a good juicer that can work effectively with vegetables, fruits, grasses, etc. Click here for a selection of some of the best tools that you can buy for healthier eating this year such as juicers, blenders, etc. A blender will also be good to have because unlike a juicer, it does not eliminate fiber which is a very important aspect of a fibroid healing regimen. You can actually juice certain fruits and vegetables and then add the juice to whatever you are blending including fiber for even more health benefits. 9. 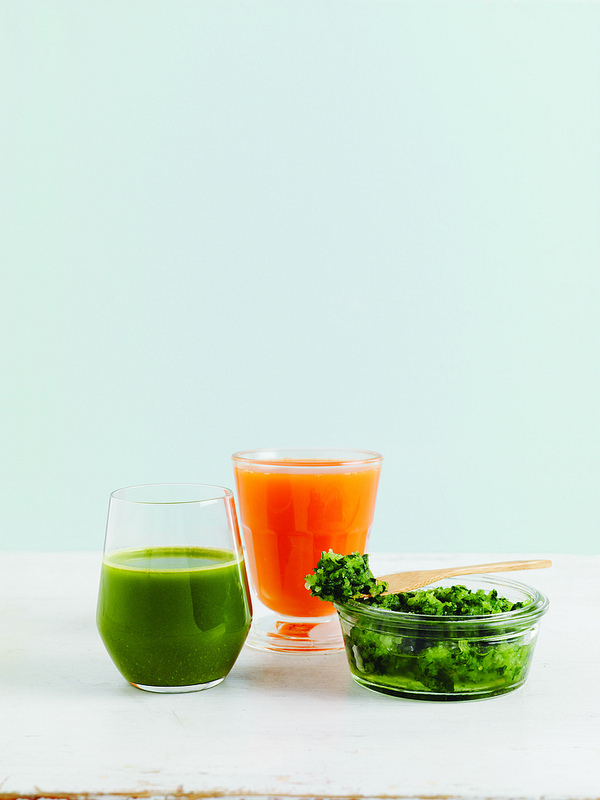 To prevent boredom, have access to many juicing recipes and don’t be afraid to come up with your own creations some of which may turn out to be too gross to drink but juicing will definitely help get your creative juices (no pun intended) flowing as you come up with combinations that you like. Juicing is a great start to cleanse and detoxify your body in addition to helping you lose weight which is also an important factor because being overweight can lead to a state of estrogen dominance that enables fibroids to grow and thrive. These are just a few tips on using juicing as a natural treatment for uterine fibroids. Juicing is especially effective when combined with other natural remedies for fibroid treatment such as the complete fibroid healing method set forth in the Fibroids Miracle guide. Find out more about this proven holistic guide here.